Woof! Oink! Baaa! The animals are welcoming you onto their farm. Who are they, and what do they each do on the farm? 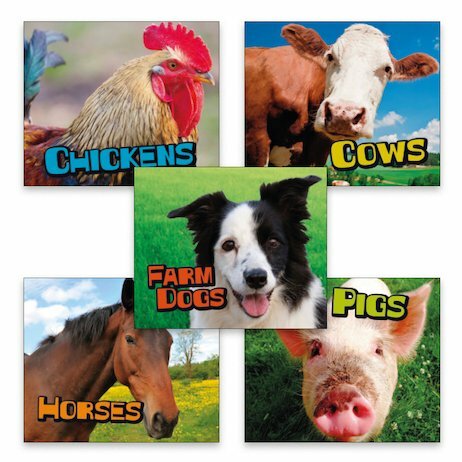 Find out in this colourful series, which lets you meet all the animals and read about them in very simple text. There are bright colour photos and easy words to learn, plus heaps of fun facts and adorable animals to love. Whether you live on a farm or you’ve never even visited one, you’ll enjoy giving your reading a boost with these books.